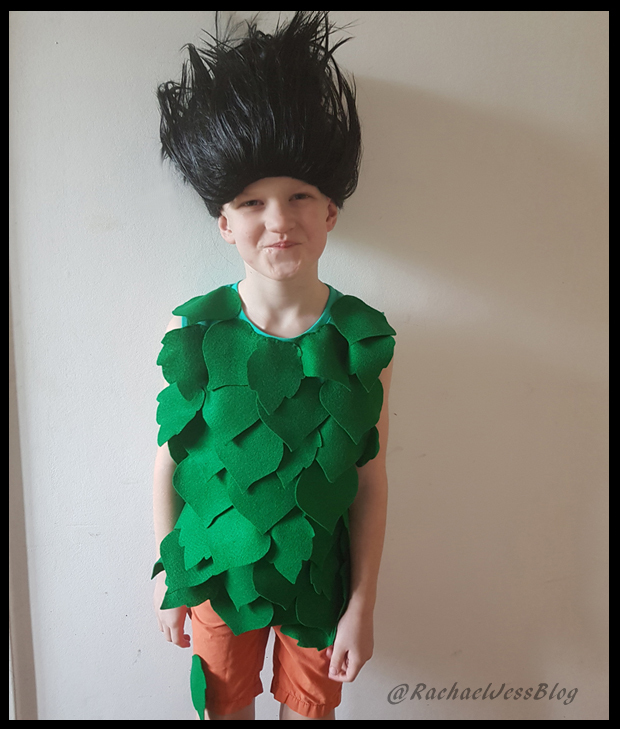 My son was recently invited to a birthday party where the theme was Trolls, and fancy dress was highly recommended. Obviously to a 6-year old that means compulsory and we all know every child there will be dressed up. 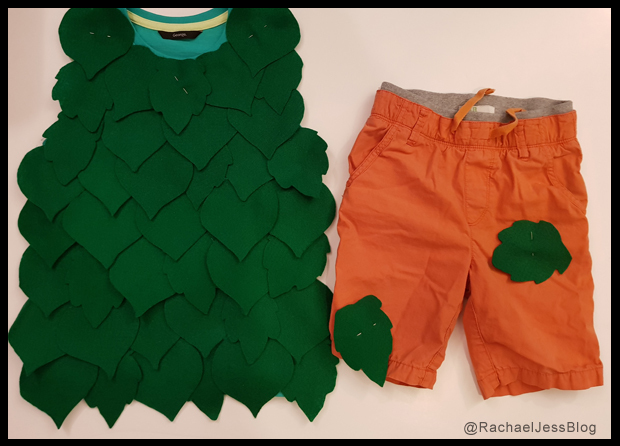 Trolls outfits are rather hard to come by for boys, but there is an outfit online for Branch, but I don't like it! Admittedly the hair is pretty cool, but I don't like the costume. It may be due to the dressmaking course that I'm taking that has given me the confidence to say, I'll make my own!! Branch wears a waistcoat but there was no way my flimsy T-Shirt was going to hold up to four dozen leaves with a cut down the middle! So I opted to pick off the sleeves instead and re-sew a hem. 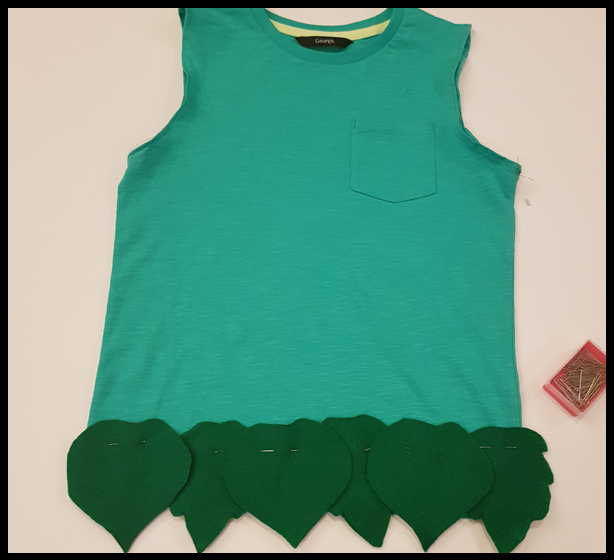 Once cut, I spent the next 2 nights hand sewing leaves on to the T-Shirt. 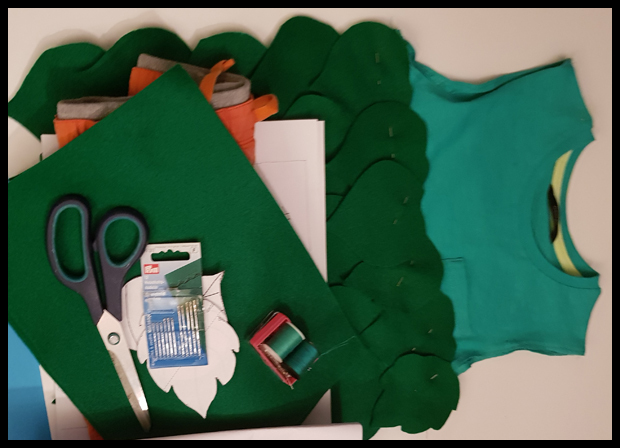 I had a few leaves left over so I add these to the shorts. They should have been patches really, but to be honest, I'd had my fill of shaped felt! For the hair, I bought a black wig off Amazon (at a reduced add-on price), blue would have been better, but blue was rather expensive! I used a balloon as my model and hung it upside down and spent a few hours spraying the hair like it was the 80s! 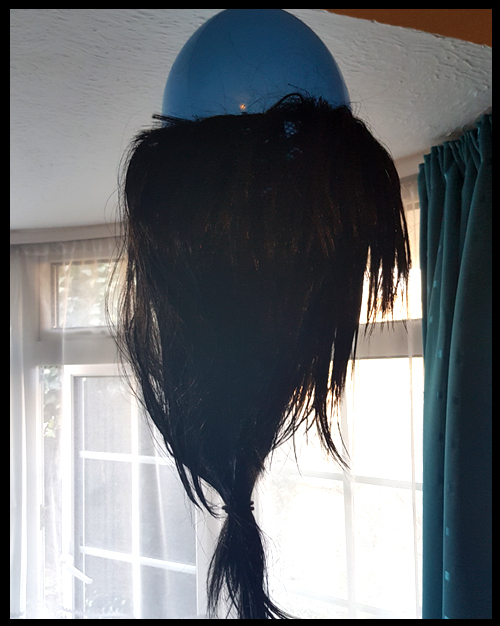 Creating a Troll Wig with hairspray and a balloon. The wig was a wee bit too long for my 6-year-old so I tucked in the top (I wasn't allowed to cut it!!). And the outfit was complete. I'm rather pleased with the outcome, he was definitely unique at the party and he loved his wig so much it lasted the 2 sweaty hours and was still on when he came home.